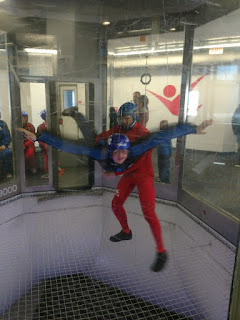 The third annual iFly indoor skydiving field trip was a ton of fun and a great learning experience! Over twenty students from 7th through 12th grade participated. Students participated in an interactive math and physics lesson. 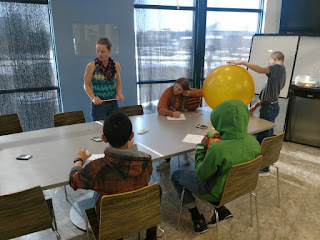 They learned about the forces acting on an object in free fall, as well as the effects of an object's shape and its frontal area inside the wind tunnel. Instructors "flew" different objects in the tunnel to demonstrate, including free falling water- it was very cool! They then had a safety class to learn how to "fly" inside the wind tunnel and read hand signals from the flight instructors. Then students took turns in the flight tunnel simulating skydiving. They wrapped up with a math lab about their experience. Thank you to everyone who participated and we hope to see you back again next year! I wish I could have gone, but I couldn't This looks so fun!